Preston Studios installations can be seen around the world. 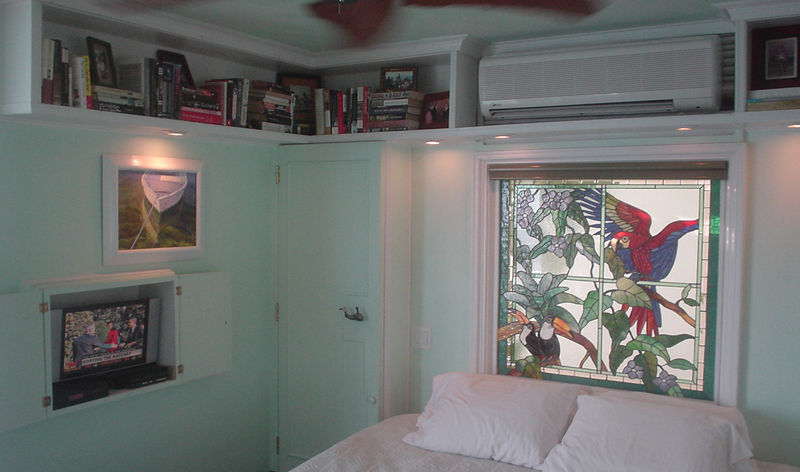 This bedroom window is in a private residence in Little Apple Bay, Tortola, British Virgin Islands. 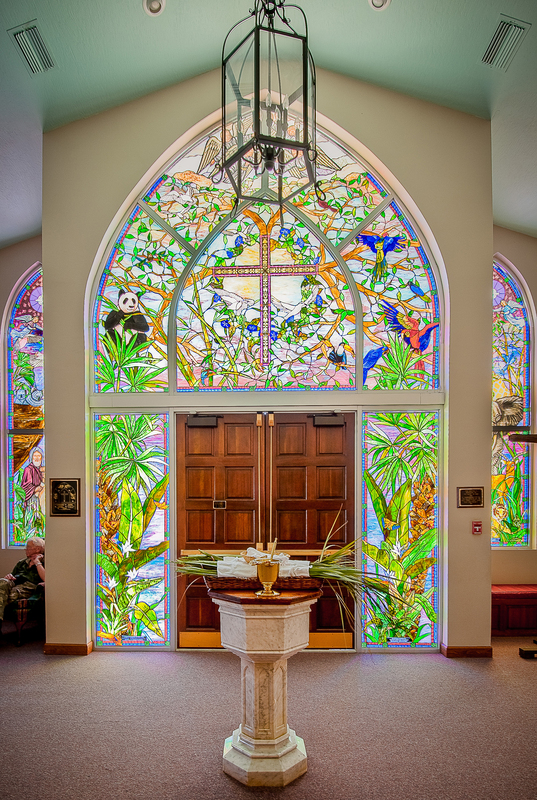 Completed in 1999, the series of narthex works created for Holy Trinity Episcopal Church in Melbourne, Florida comprise 8 major windows, 6 door panels, and an entrance. Photo by Mike Preston. 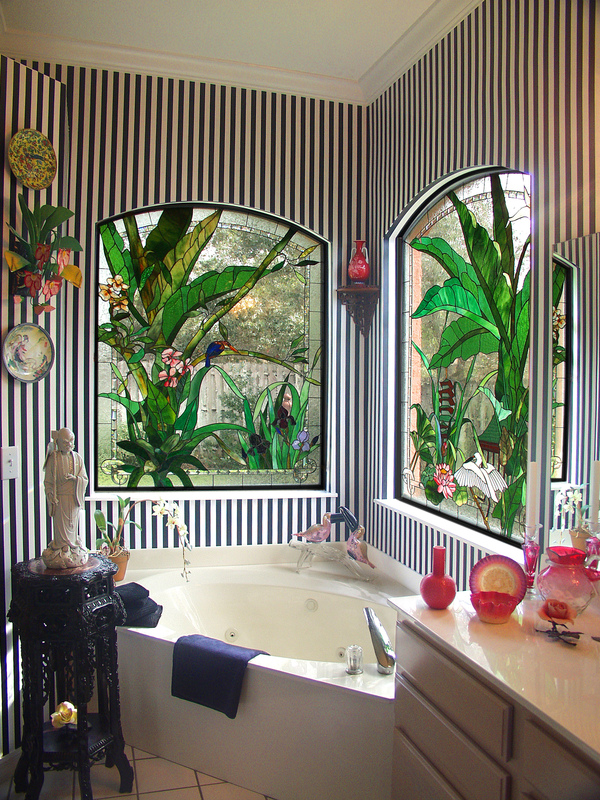 Ten years after the first such bath design was created Preston Studios was commissioned to create a similar window for a private home in Fairway Lakes, Viera. Here, rather than a white Heron, the featured bird is a Great Blue Heron, with different flowers. This 2013 commission is similar, but once again one-of-a-kind. 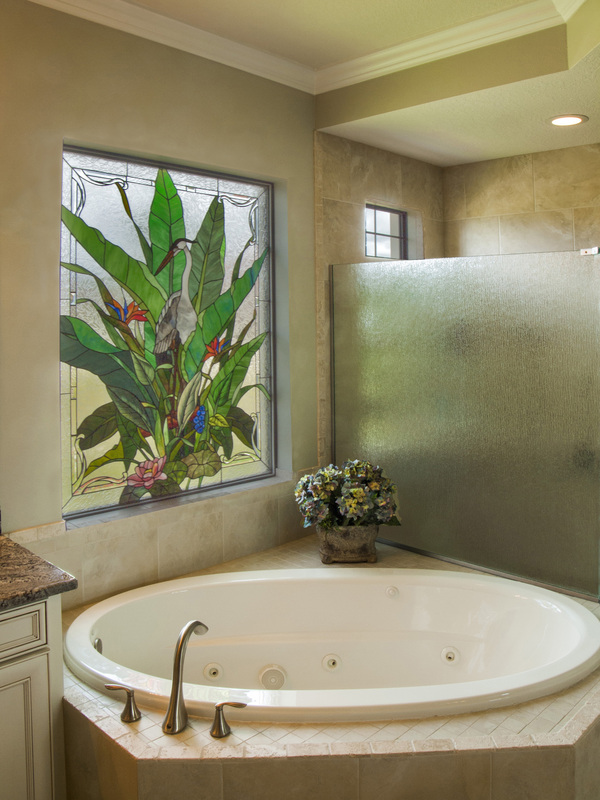 This 2003 bath commission, located on Merritt Island, Florida, was also part of a large project including the entrance. 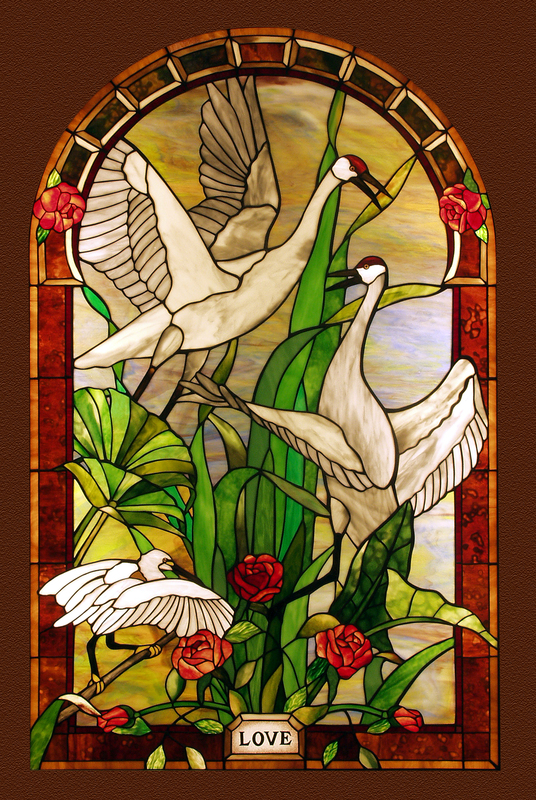 Designed to depict native Florida flora & fauna, it creates a fine art focal point for the room. 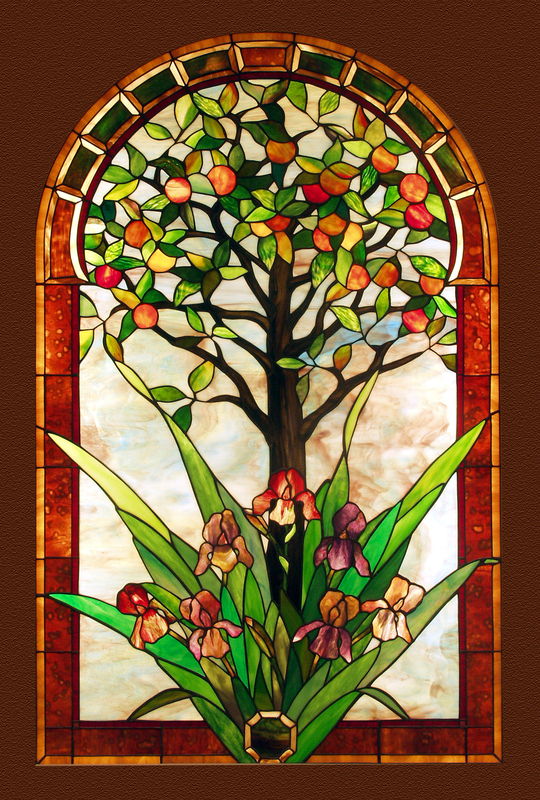 As seen in the Wardell Publications book "Windows of Enduring Color" (2008). 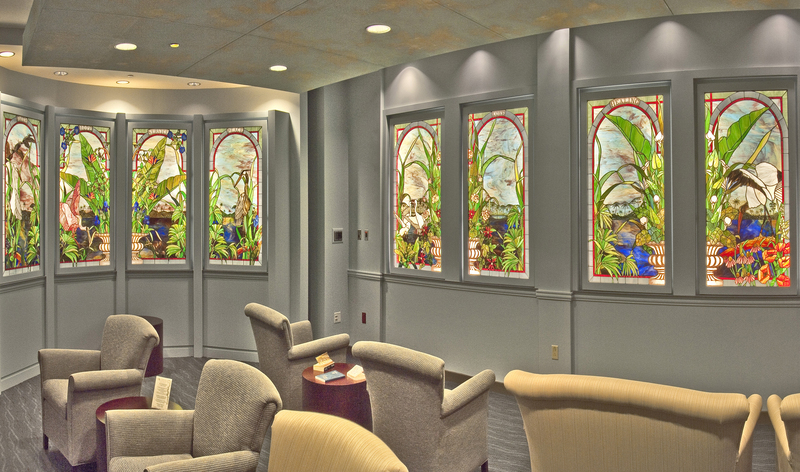 These two commissioned works created in 1995 for a private residence in Winter Park, Florida were designed to reflect the Chinoiserie design sentiment of the decor. 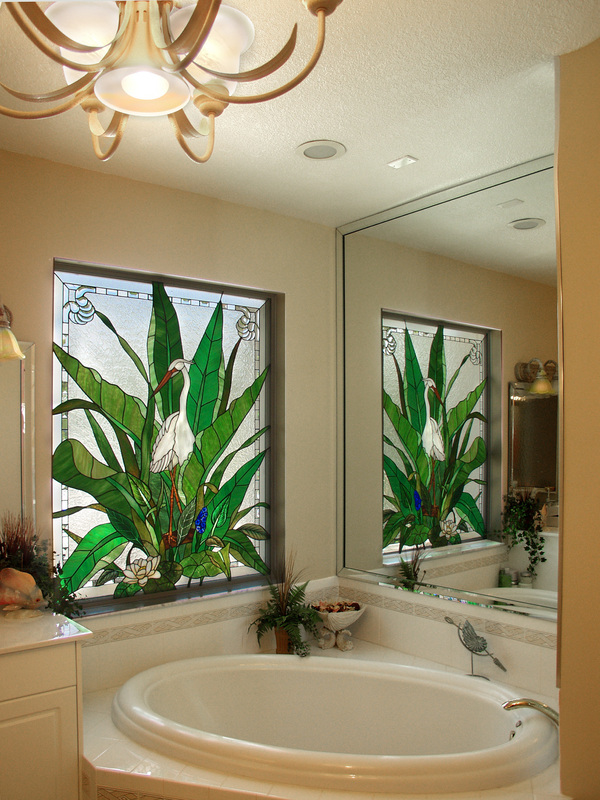 Infinity Bevel borders with textured glass frame the view out through the windows into the tropical foliage. 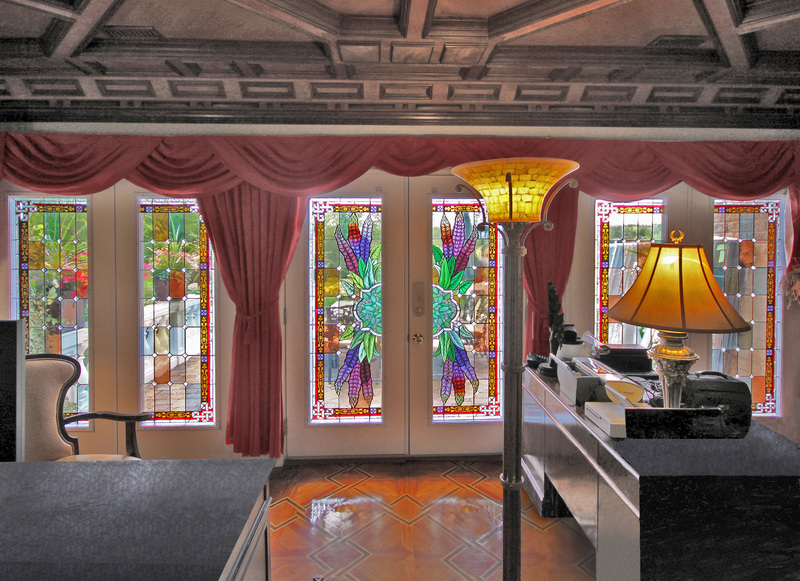 As seen in the Wardell Publications book "Windows of Enduring Beauty" (2002).